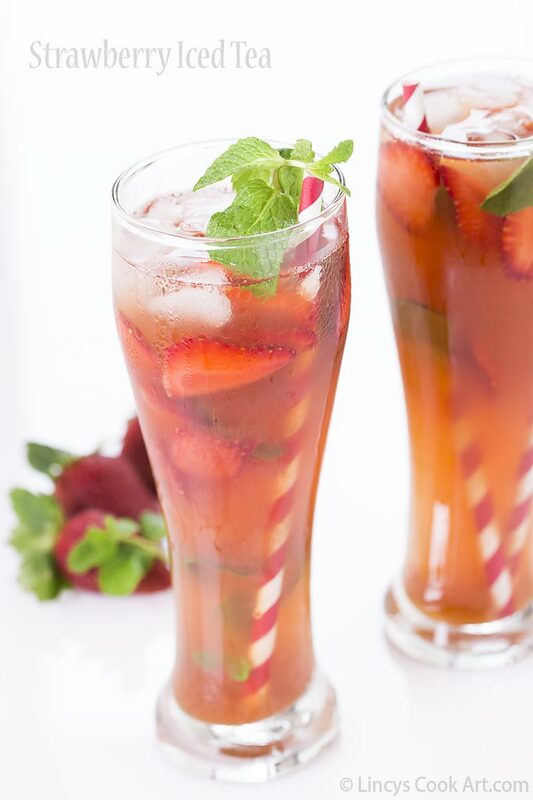 Strawberry Iced tea is an absolute thirst quencher for the summer season and wait...it's also easy to prepare. Make this drink with green tea to make the drink more healthier. 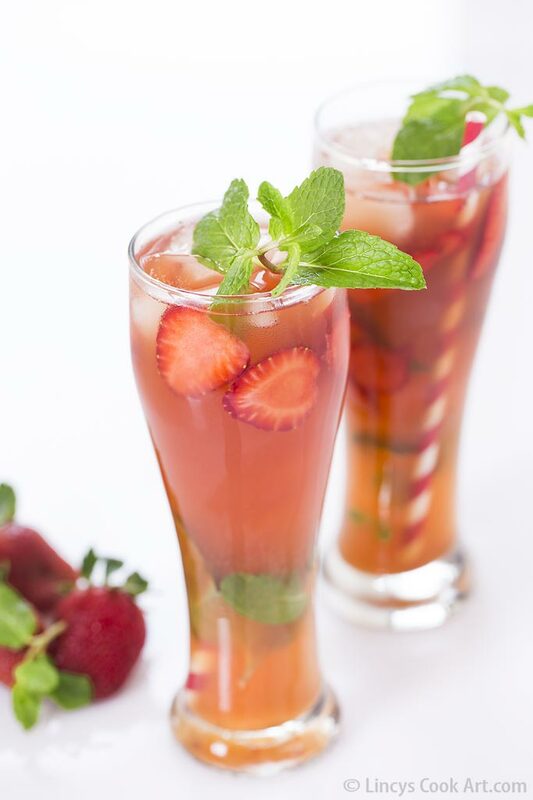 A simple yet delicious drink for summer to beat the heat and stay fresh. 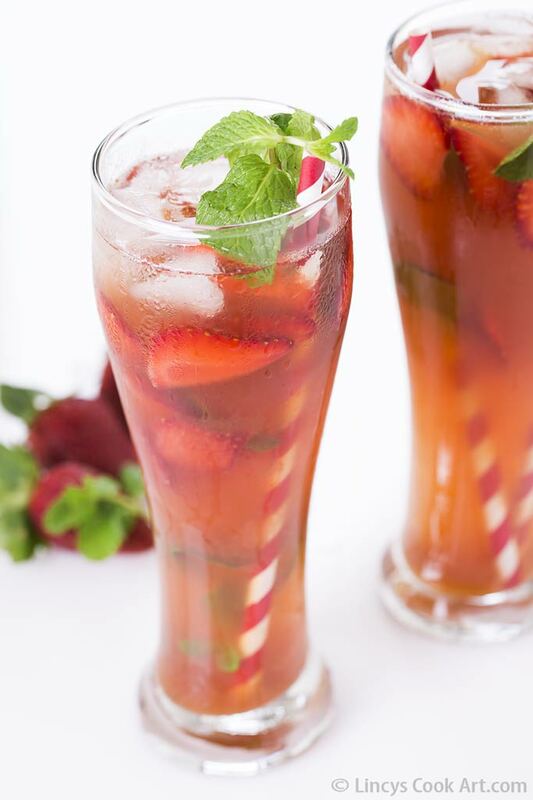 Now that strawberries are in season I decided to make the iced tea with strawberries version. I like iced tea with green tea bags. I did prepare both ways but I ended up liking the green tea one as it is a bit mild. 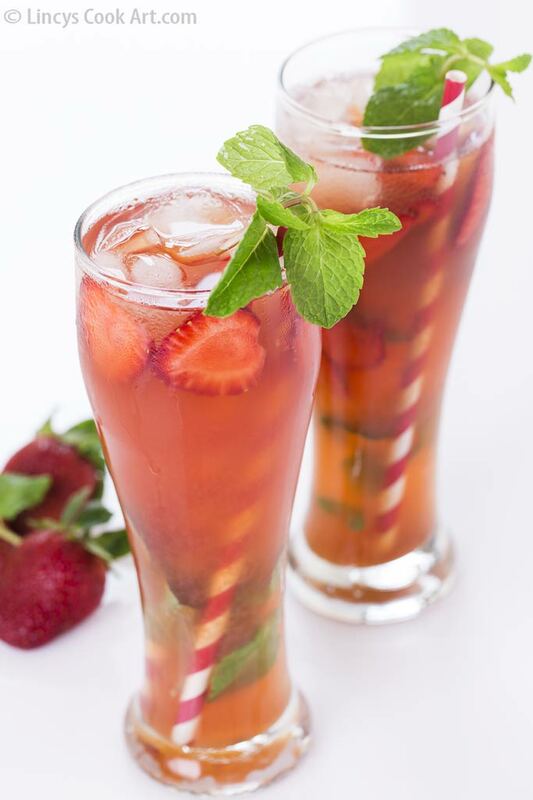 Prepare the drink as per your wish with green tea or black, strawberry syrup or fresh strawberries! Bring 3-4 cups of water to boil and add the tea bags and allow to steep for a minute. Remove the teabags and allow to cool. In a blender jar add the cut six strawberries and Sugar| Honey and grind to make a paste. Or use strawberry syrup. In a jug (or in the same pot) add some ice cubes, mint leaves and add the cooled tea. Squeeze the lemon juice. Adjust the sweetness if required. 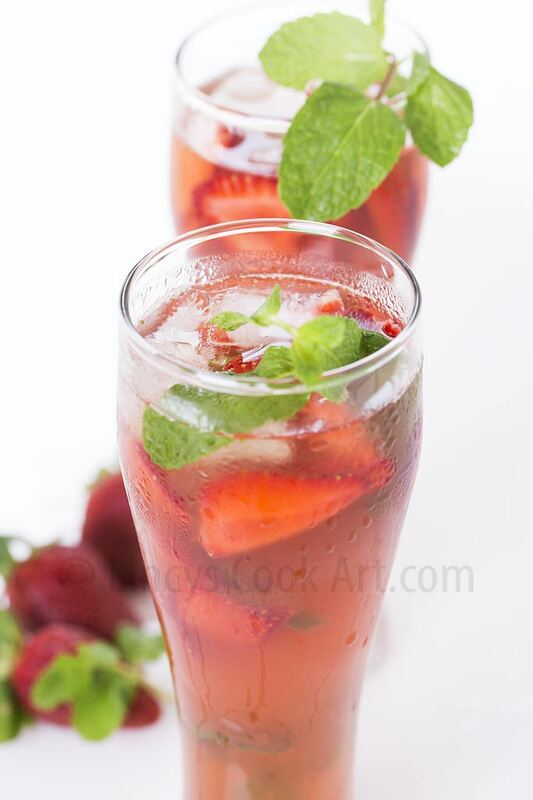 In serving glasses fill with some ice, mint springs, cut strawberry pieces and then pour over the drink; serve. Note: Do not allow the tea bags to steep more it makes the tea with a bitter taste. 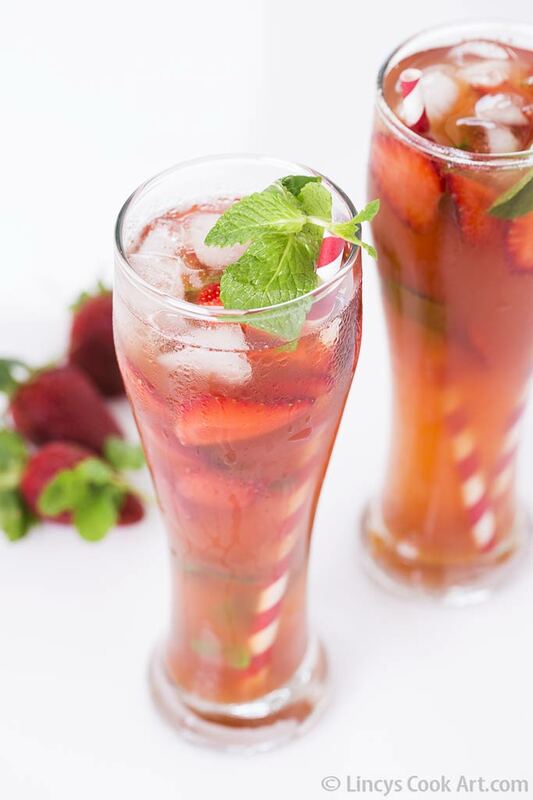 Always prepare mild tea so that the taste of the fruit also pops from the drink. Awesome clicks. Just feel like grabbing from the photo. Lincy, I came across your site through Facebook. Really amazing recipes. Loved all your strawberry collections & tried few of them. Thanks for the recipes..